(Feb 24): Saudi Arabia has said oil giant Saudi Aramco is worth more than US$2 trillion, enough to consume Apple Inc twice, and still have room for Google parent Alphabet Inc. The kingdom may have to settle for less. A lot less. Industry executives, analysts and investors told Bloomberg their analysis — based on oil reserves and cash flow projections under different tax scenarios — suggests Aramco is worth no more than half, and maybe as little as a fifth, of that amount. This means Saudi Arabia would earn a fraction of the US$100 billion implied by its valuation if it sells 5% to the public in 2018, as planned. For example, Wood Mackenzie Ltd came up with a rough valuation of Aramco’s core business of US$400 billion, according to clients who attended a private meeting at the oil consultant’s City of London office this month and asked not to be named. The Edinburgh-based company, popular for its analysis and valuation of energy companies and assets, declined to comment. An Aramco spokesperson said the oil producer doesn’t comment on rumours or speculation. While there’s a lot of guesswork involved in sizing up a company that’s never divulged financial statements and may have its tax rate cut before the initial public offering, this valuation gap reveals the hurdles Saudi Arabia could face in preparing for the post-oil era. A profitable IPO is meant to anchor a sovereign wealth fund that will, if things unfold as envisioned, generate enough investment income at home and abroad to dominate state revenue by 2030. Demand for oil will peak just before then, according to Royal Dutch Shell Plc projections, as alternative fuels and electric cars gain popularity, putting Middle East energy producers on shakier footing. Even within the Saudi government, doubts are emerging. 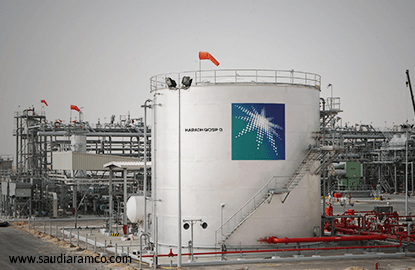 A person familiar with the flotation, who asked not to be named, said last week Aramco in its current form would probably be worth about US$500 billion because a lot of its cash goes toward taxes and future investors won’t have a say on investments in non-core areas. Another person familiar with IPO talks put the figure at a little less than US$1 trillion if investors base the valuation on Aramco’s ability to generate cash. Selling a 5% stake would therefore raise at least US$25 billion, still enough to match Alibaba Group Holding Ltd’s unparalleled 2014 offering and dole out millions of dollars of fees to the advisers hired to manage the sale, namely JPMorgan Chase & Co, Moelis & Co and independent consultant Michael Klein. The US$2 trillion estimate was initially put forward by Deputy Crown Prince Mohammed bin Salman last March. There are two key issues, according to interviews with a dozen industry analysts, investors and executives, who asked not to be named because of the sensitivity of the matter. The first is that it’s premised on a simple calculation: Take the 261 billion barrels of reserves Saudi Arabia says lie under oil fields like the onshore Ghawar and offshore Safaniya, and multiply by US$8 (a benchmark used to value reserves). An independent auditor is assessing Saudi reserves, the second-biggest worldwide, before the IPO. By that logic, though, Russian producer Rosneft PJSC’s market capitalization would be US$272 billion instead of US$64 billion, and the valuation of Exxon Mobil Corp, the world’s largest publicly traded energy producer, would be 53% smaller than it is. “I didn’t know that the value of an oil company was a multiplicator of the reserves of the company," Total SA chief executive officer, Patrick Pouyanne, told investors on a Feb 9 conference call. Several factors should be “discounted” before “we’ll see what will be the real value of" Aramco, he said. The rationale also assumes Saudi oil, due to last about 73 years if pumped at the existing pace, will be viable for decades even if global warming curbs the world’s appetite for crude. Toyota Motor Corp wants to rely on hydrogen to all but replace traditional-engine models by 2050. Use of gasoline, which accounts for one in four barrels consumed globally, is already peaking according to the International Energy Agency. Officials including Bank of England Governor Mark Carney have warned investors it’s a matter of time before reserves are "stranded" in the ground. The second factor throwing doubt on the Saudi valuation is the centrality of tax and dividend policy in assessing a company’s fair value. Aramco, formally known as Saudi Arabian Oil Co, pays a 20% royalty on revenues and an 85% income tax. Levies this big reduce cash available for dividends to shareholders, diminishing the appeal to overseas investors. Wood Mackenzie, according to two clients, said it based its calculation on the current tax rate, a cost of capital of 10% and an in-house oil-price forecast. It used a so-called discounted cash flow method to value Aramco’s upstream business, which is very sensitive to taxation. So if Aramco CEO Amin Nasser follows through with plans he unveiled in Davos last month to lower taxes "to be aligned with other listed companies," Wood Mackenzie’s estimate also stands to rise. But the scope for loosening levies may be limited because oil is the lifeblood of a Budget the government is struggling to balance due to depressed oil prices. Wood Mackenzie’s estimate also doesn’t factor in Aramco’s downstream, or refining, operation. That business is similar in capacity to that of Texas-based Valero Energy Corp, which has a market value of about US$30 billion. Another caveat is that traders tend to demand discounts for political risks surrounding state-linked companies. A corruption scandal ensnaring Brazil’s Petroleo Brasileiro SA sent shares sliding to a 16-year low early last year. Investors in Rosneft, meanwhile, have to contend with sanctions that limit the stock’s upside versus emerging-market peers. Allianz Global Investors, which owns energy shares including Exxon, Shell and BP Plc, is unlikely to buy Aramco stock at the IPO, according to energy analyst Rohan Murphy. “We have generally found investing in companies so closely tied to the state to be unattractive," he said. While Saudi Arabia is relatively stable in the turbulent Middle East, it’s not immune to concern that decisions on oil output will be guided more by geopolitics than what’s best for minority shareholders. The kingdom’s oil wealth also enabled it to appease its 32 million people as unrest flared regionally during the so-called Arab Spring. At issue is whether Saudi royals can sustain this calm as the government slashes fuel subsidies and imposes value-added taxes. In the end, Aramco’s market size may struggle to equal two Apples and a Google in rankings of the world’s biggest companies.